Activity Based Working : For business or employees? Join us on 15th February at the University of Sydney to hear Gijs Nooteboom, along with a panel of experts, discuss Activity Based Working and the potential it brings for creating a healthy workplace both physically and mentally. Activity Based Working (ABW) is designed as a way to optimize available work space for employers but it can also be a promising avenue to create a healthy workplace, both physically and mentally. Advocates argue that ABW can have a positive impact on staff and employer perceptions of the workplace. This has made ABW the exciting “new” approach to workspaces and the flavour ‘du jour’ of office and work design. Although ABW is implemented in numerous organisations there is a scarcity of evidence on the outcomes, benefits and downsides of ABW – does it work for business, employees or both? From a business perspective is it good value for money? Should it be implemented or should it be recognised as just another fad? This breakfast event aims to highlight important business and health aspects of ABW and its implementation. Presenters will talk about perceptions and the outcomes of ABW for their organisations as well as the presentation of a review of the scientific literature on the impact of ABW on health and productivity outcomes. Table discussions on ABW and its impacts will be followed by panel Q&A. 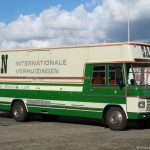 Mr Gijs Nooteboom will present Veldhoen + Company’s vision of ABW and how it is not only about furniture and spatial layout, but includes workplace culture and employee authenticity. Gijs will share his passion about how ABW improves the lives of employees once the leadership understands what ABW means at a philosophical level, and how ABW nurtures leadership development in a direct and indirect way. Mr Tom Treffry will present workplace strategies that organisations can employ to promote the health of their workforce. Tom will elaborate on how AMP is focused on creating a healthy workplace experience that proactively promotes the health of their employees such as the WELL building standard He will also talk about the way they are working on new ways to promote healthier food offerings in the AMP offices. Dr Lina Engelen will present her work investigating the health impacts of working in an ABW environment. She will draw on the latest published scientific research and examine how ABW could affect employees’ movement and sitting patterns, musculoskeletal issues, as well as their perceptions about productivity and satisfaction at work. 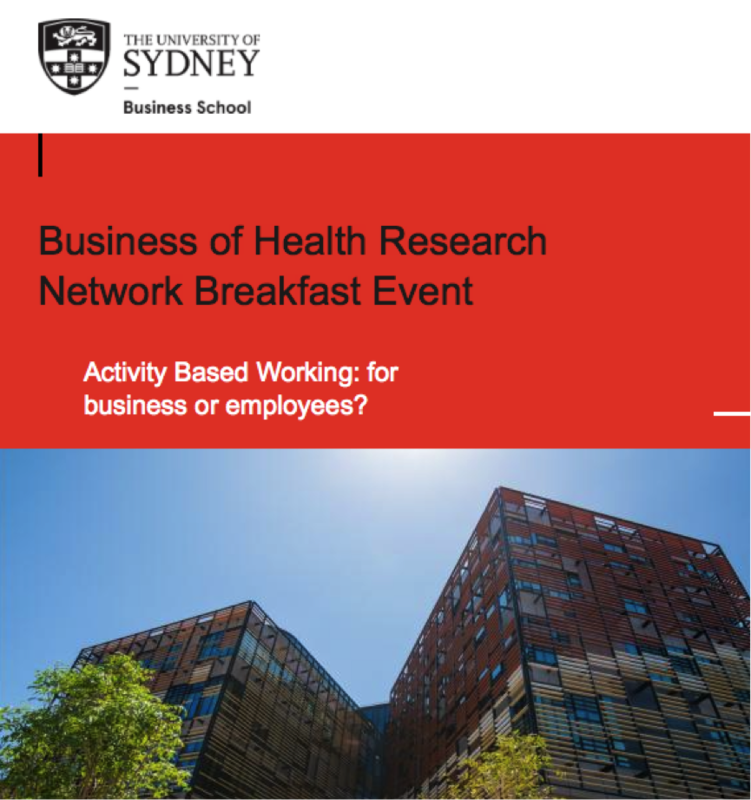 This event is hosted by the Business of Health Research Network in collaboration with the ‘Healthier Workplace Project Node’ at the Charles Perkins Centre. REGISTER ONLINE at The University of Sydney website by 9th February 2017. Breakfast will be served so please also advise The University of Sydney of any dietary requirements. If this has sparked an interest in Activity Based Working but you can’t make it to the breakfast session above, give us a call!